“God so loved the world that he gave his only son ...” is not a pious platitude or a simple religious refrain. It is a declaration of God’s purpose and mission in the world from the beginning to this very day. “God so loved the world.” That’s not just about us who are human. It’s about the whole of God’s grand and glorious Creation. During our church’s 2018 General Convention in Austin, Texas, Episcopalians made important promises to care for the world God loved so much. Many of us are keeping that promise this Lent by praying with and taking up the Episcopal Church’s Pledge to Care for Creation goes live Monday. The pledge guides us to make specific commitments to grow loving, liberating, and life-giving relationship with Creation. Thanks to the Diocese of California, our whole church has a new tool to support anyone who wants to make more life-giving choices about how we inhabit the earth. The Carbon Tracker is a web-based application that helps individuals, households, congregations and even dioceses to measure your carbon footprint and take steps to shrink it to fit a sustainable life. Five early adopter dioceses are piloting it this Lent, and by Earth Day – April 22, 2019 – everyone can come on board. I am personally exploring how to use it as part of my own spiritual practice. The app is organized around life choices clustered in five main areas. The choices range from Easy to Hard – everyone will find something here. But there is more here than tech and data. There are links to church-wide creation-themed formation resources. There is space for online discussion. This is truly a community action. If we follow Jesus and his way of love, then we strive to love as God loves, to give as God gives, to care as God cares. And that means caring for God’s Creation, all of it, and all of us. One of the greatest efforts humanity will ever make will be the move from the lifestyle of the industrial period to lives of sustainability. St. Irenaeus in the earliest days of Christianity said that the glory of God is a human being fully alive. Today we might understand that the fully alive Body of Christ, the active, conscious community of faith, is a further form of God’s glory. We also know that we need God’s grace to do all we need and hope to do in healing our suffering lives, our suffering planet. 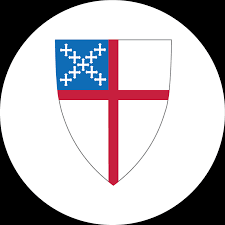 The Episcopal Church has been acting to support care of our Earth, our fragile island home, over several decades, and information about this can be found here. One tool that has been developed to help us in the Episcopal branch of the Jesus Movement lead more sustainable lives is the web-based tool, Sustaining Earth, our Island Home. It is a hopeful, and even a fun app, with elements of games and play within it—in keeping with a world we know is ultimately and always in the loving hands of God. I recommend Sustaining Earth, our Island Home to you. The very first words of the Bible tell the story of creation. Before anything else, we hear how God created the world. Even before he made us, God made the sky, the land, the water and every living creature that came to populate it all. The magnitude of that gift is astounding. It should still inspire us to protect and care for it as fiercely as we do anything else of value, but we don’t. Our gift sustained us so well for so long, we began taking it for granted. We took more than we needed for the sake of comfort and convenience, and we are learning the cost of those actions. We are destroying the very thing created to sustain us. The good news is it’s not too late to make our gift a priority once more. No single one of us can repair all the damage done, but if each of us starts to make changes in our own corners of the world, collectively it will add up to a massive shift in a healing direction. In doing so, we also heal ourselves, because the planet on which we live is not separate from us; it is a part of us. God created it to sustain us, and it is time to return to thinking of our island home as the gift it is. Join us, as an individual or as a congregation, in making changes to help the gift God gave us flourish once again. It is a joy to follow Jesus in his mission of mercy, compassion, and hope. Presiding Bishop Michael Curry says that if we are serious about following Jesus, we will seek to create loving, liberating, and life-giving relationships with God, each other, and the whole of Creation. One of our most urgent calls as people of faith is to work to avert catastrophic climate change and to prevent the web of life from unraveling. By making better choices in our own households, we not only make a substantive, measurable difference in addressing the climate crisis, but we also align our lives with Jesus’ mission. I invite you to explore this new platform, Sustain Island Home, which will help you assess your carbon footprint and take action to reduce it. Feel free to explore the platform on your own, but the project works best when a congregation joins it together. We have formed a diocesan team to help you introduce Sustain Island Home to your congregation. Please contact Team Convener, the Rev. Eric Elley (860/394-8728; email: eelley (at) live.com), and he will arrange for someone on the team to help launch Sustain Island Home in your congregation. The weather is changing and we can feel it. Climate change is happening faster than predicted and already impacting our world with more severe storms, droughts, fires and floods. These changes impact those with the least resources first and hardest and will affect everyone significantly in our children's lifetimes. The choices we make in next 10-15 years are very important to protecting our health and our future. The good news is we have solutions and there is a lot everyone can do to help. In fact, together we can make a big difference. The better news – these solutions don’t compromise our quality of life, and can also save money, improve our health and create local jobs. Join the challenge and learn more about how you can make choices that will help create a safer, healthier future. "There are so many things individuals can do to make a difference." "The moral imperative of these actions for Christians is compelling." When you create your account you will automatically be added to your local congregation group! Work together and help each other succeed! Your actions can make a difference too. Join the Sustaining Earth Challenge today!